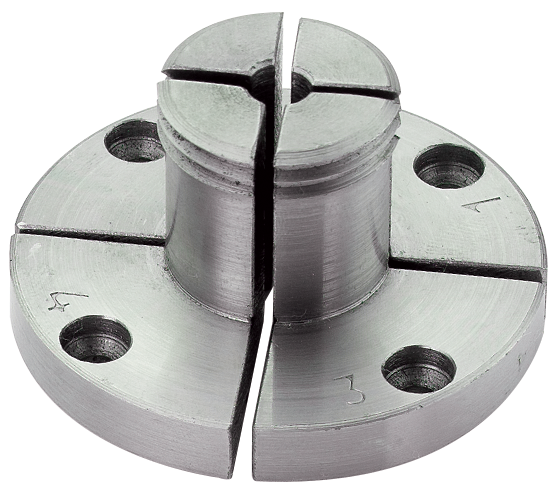 Made from high quality steel to exacting standards, this four jaw geared scroll chuck is the ideal choice for beginners or more experienced turners who regularly work with small objects. Supplied complete with a set of standard dovetail jaws and a handy woodscrew chuck, this compact chuck offers unrivalled value for money. 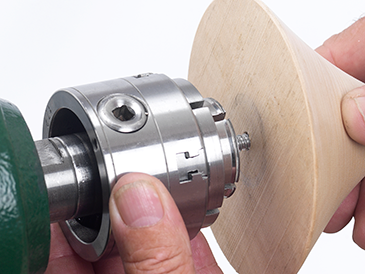 The RP2000 is extremely compact, being only 62 mm in diameter, facilitating easy access to workpieces, allowing fine and delicate work to be carried out more easily than with a larger chuck, which can sometimes make access to small projects difficult. 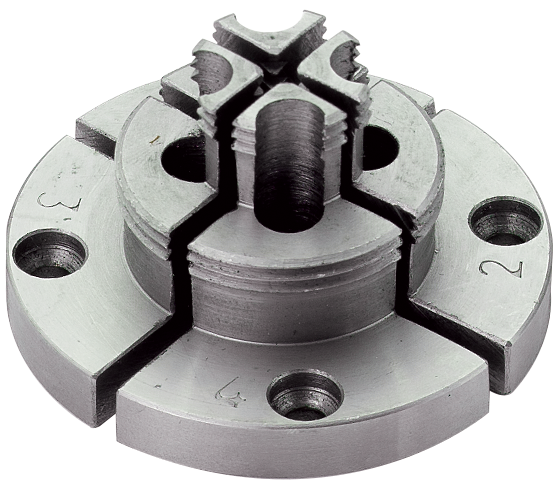 However, the size of this chuck does not hinder its versatility as it is capable of holding larger work and can be used to turn bowls up to 12 inches in diameter, making it a great all-rounder. 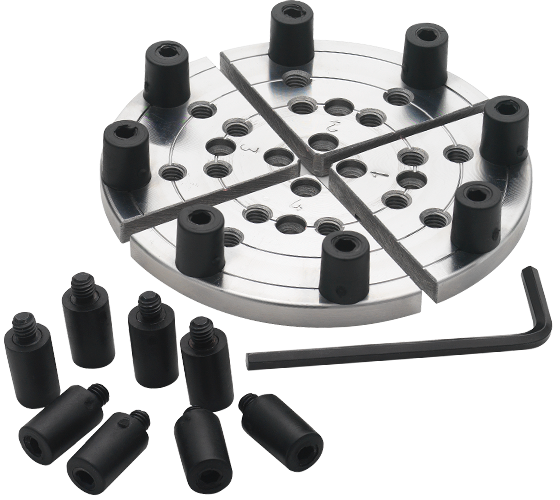 Due to its size and weight it is ideal for use on smaller lathes as it places minimal stress on the bearings. 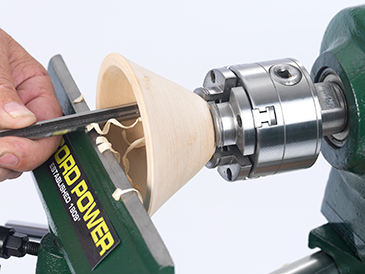 The woodscrew provides a quick and secure way to mount bowls. Due to its compactness, the RP2000 is ideal for turning smaller items, giving greater acces and reducing load on the spindle. 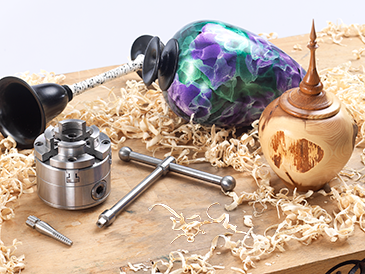 A huge range of work can be undertaken with the help of the RP2000 chuck, limited only by your imagination.